Caroline Russell AM has launched a five-point plan ‘Prioritising People – how to deliver healthy streets’ with recommendations for the Mayor as he draws up his transport plans. The report grew out of messages from hundreds of Londoners who have contacted Caroline since she was elected six months ago, expressing dissatisfaction at how hard it is to travel around London. Caroline’s plan isn’t just for cycle commuters; it is for all Londoners who want to travel by foot or by bike. Whether that is a pensioner popping out for a pint of milk who is at the mercy of infrequent green pedestrian lights, to Sunday leisure cyclists battling against heavy traffic or children on scooters who are bumping over uneven pavements. “For so many Londoners our city’s streets are just not working, the Mayor has committed to a ‘healthy streets’ approach but if he’s going to deliver a better city for all Londoners we need roads that enable walking and cycling. “Travelling on foot and by bike should be convenient for Londoners. It is an efficient, pleasurable and healthy way to get around but years of pro-car policies have made life hard for people who want to walk or cycle. 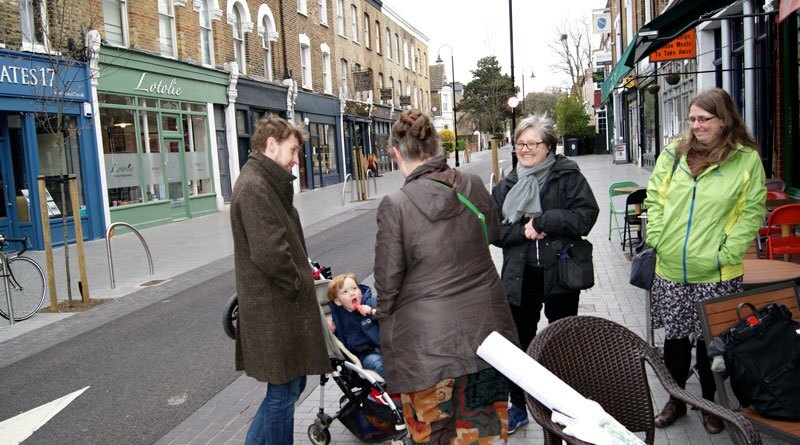 “For bikes, pedestrians, prams and wheelchairs we need roads that are easy and enjoyable to use, with crossings that don’t trap people on islands surrounded by dangerous fumes and junctions that protect people on bikes from left-turning traffic. “The Mayor must change the culture at TfL to make sure people are the priority when designing streets and allocate sufficient resources to make his healthy streets more than a pipe dream. The Mayor must throw his energy into bringing Londoners and the boroughs along with him on this journey towards healthy streets. ‘Cheap and cheerful’ live trials should be the default approach to consultation on neighbourhood schemes. Live trials are temporary and give people a chance to experience any real positives and negatives without getting bogged down in fears about what ‘might’ happen. Mayor should commit to invest £1.55 billion in cycling and walking, equivalent to 15 per cent of the total expected investment in capital transport projects. TfL’s decision-making processes will need to be overhauled if the Mayor is to make London’s streets much better for walking and cycling. It must become normal practice for TfL to gather data about how people navigate temporary road closures to learn about how Londoners alter routes and ‘lock in’ traffic reduction.